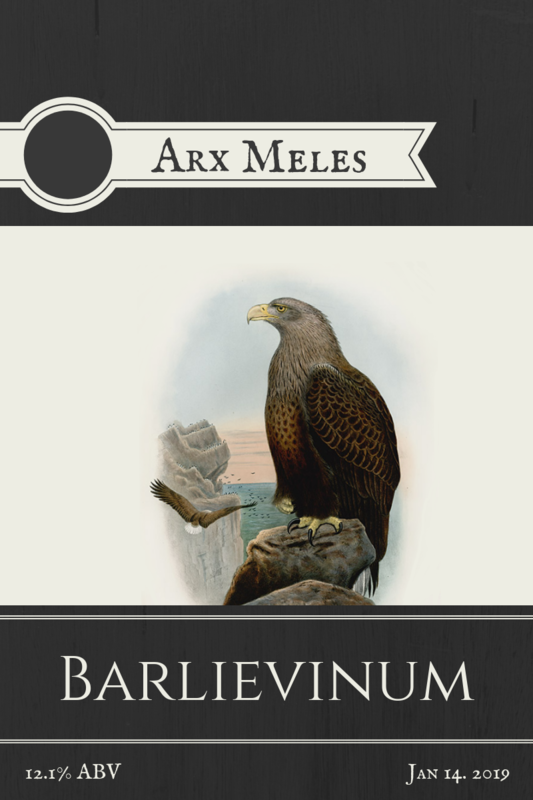 Barlievinum – an English barleywine. Brewed January 14, 2019. Bottled March 19, 2019. Parti-gyle brew with Bitterus. Equipment cleaned with bleach solution and sanitised with Iodophor solution. Approx 30L filtered water heated up for the mash, with the grain bag added at 65°C for 60 minutes. Heat fluctuating up just a few degrees throughout the process. 11L of the first runnings poured off to make Barlievinum, put immediately up to boil. Magnum hops added 90 minutes after boilpoint for 30 minutes, factoring time conversion for the use of the no-chill method. At flameout the Fuggle hops were added to the pot. The 9L of wort was then whirlpooled and decanted into the fermentation bucket directly, with a bagged airlock to prevent air contamination. Gravity checked the following evening: OG 1.108 at 18°C. Nine days later a starter was made with a bunch of the US-05 yeast cake from IPAeus III. Starter: filtered water and Barlievinum wort added together to the yeast in two separate jars – one glass and one plastic – for a starter wort of approx OG 1.040. Swirled on and off for the first few hours and left to ferment at 17-19°C for approx 96 hours, then shaken vigourously before pitching. The entire plastic jar and half the glass jar pitched into the wort after vigourous aeration. Fermentation bucket replaced in fermentation chambre, with temp fluctuating from 16-19°C, with no activity seen in the airlock. Examined three days later by flashlight and peeping into the airlock hole to see a foamy krausen. Checked nearly two months into brew (March 7), after all signs of fermentation ended: FG 1.026 = 12.1% ABV. Bottled on March 19, just over two months since brewing, into meticulously-cleaned, Iodophor solution-sanitised 330ml and 500ml bottles primed with 40 grams dextrose. 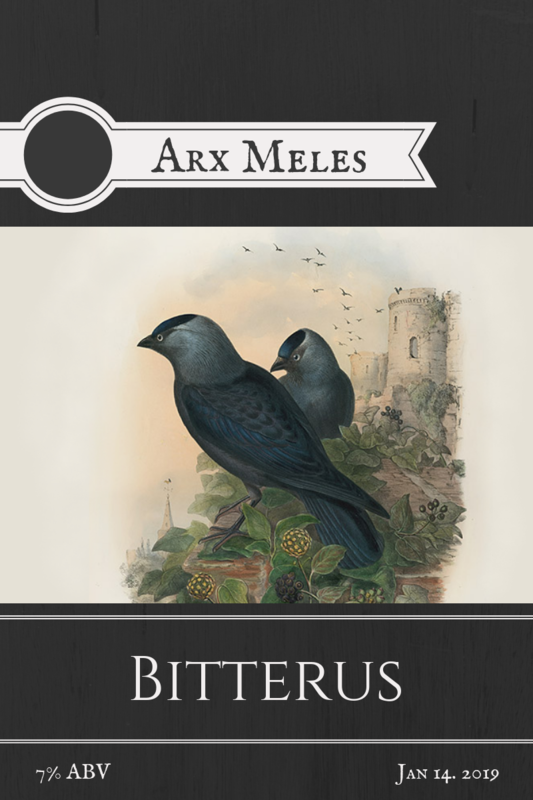 Bitterus – an English bitter. Brewed January 14, 2019. Bottled January 29, 2019. Parti-gyle brew with Barlievinus. Equipment cleaned with bleach solution and sanitised with Iodophor solution. Approx 30L filtered water heated up for the mash, with the grain bag added at 65°C for 60 minutes. Heat fluctuating up just a few degrees throughout the process. 11L of the first runnings poured off to make Barlievinus. Rest of the wort drained into side vessel and then mash sparged with approx 20L filtered tap water until approx 23L wort was put up to boil. First 30g of East Kent Golding hops added 25 minutes after boilpoint for 15 minutes, factoring time conversion for the use of the no-chill method. At flameout the next 30g of East Kent Golding hops were added to the pot, as well as a generous sprinkling of Irish moss. The approx 19L of wort was then whirlpooled and decanted into the fermentation bucket directly, with a bagged cork in place of the airlock to prevent air contamination. The following evening Danstar Nottingham yeast packet added to the brew with OG 1.072 at 18°C. Fermentation bucket placed in fermentation refrigerator (turned off), the temp fluctuating from 14-18°C for the duration of the fermentation. Checked 12 days into brew: SG 1.019. Checked 14 days into brew: FG 1.019 = 7% ABV. Slight sour odour to the beer but it fades and, with the taste not being too noxious, bottling the bulk of it was decided. Bottled into Iodophor solution-sanitised 250ml, 330ml and 500ml bottles primed with 45 grams dextrose. 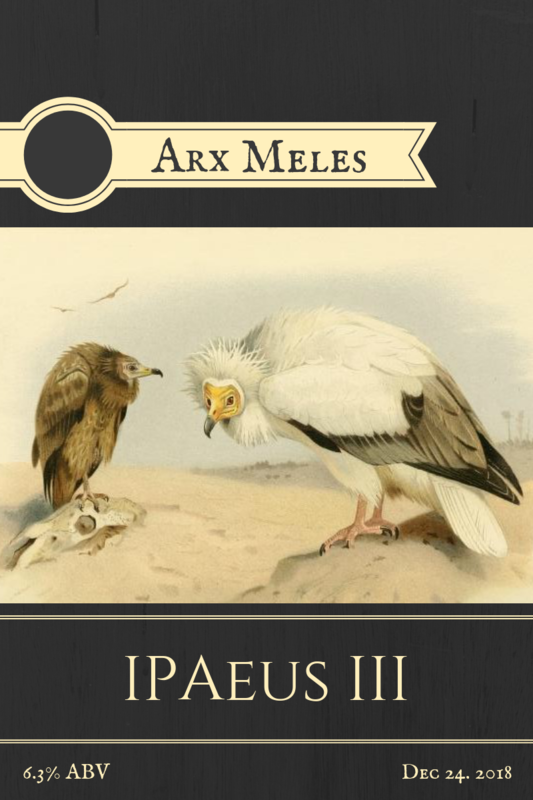 IPAeus III – an American “West Coast” IPA. Brewed December 24, 2018. Bottled January 14, 2019. Equipment cleaned with bleach solution and sanitised with Iodophor solution. 23L filtered water heated up for the mash, with the grain bag added at 67°C for 60 minutes. Heat fluctuating just a few degrees throughout the process. Wort drained to about 21L, mash sparged with filtered tap water until approx 26L wort was put up to boil. Columbus hops and 15g of the Cascade hops added 35 minutes after boilpoint for 25 minutes, factoring time conversion for the use of the no-chill method. At flameout the remaining 15g of Cascade and Chinook hops were added to the pot. The approx 24L of wort was then decanted into the fermentation bucket directly, with a cork in place of the airlock to prevent air contamination. The following evening Safale US-05 yeast packet added to the brew with OG 1.067. Fermentation bucket placed in fermentation refrigerator, the temp fluctuating from 13-15°C for the first few days. Then, with the fridge failing, the brew sat for 30 or so hours at approx 25°C and then dropped back down to 14-18°C, rarely rising above that temperature. Checked 13 days into brew: SG 1.019. Checked 15 days into brew: FG 1.019 = 6.3% ABV. Bottled 19 days into brew into Iodophor solution-sanitised 330ml and 500ml bottles primed with 185 grams demerara sugar. 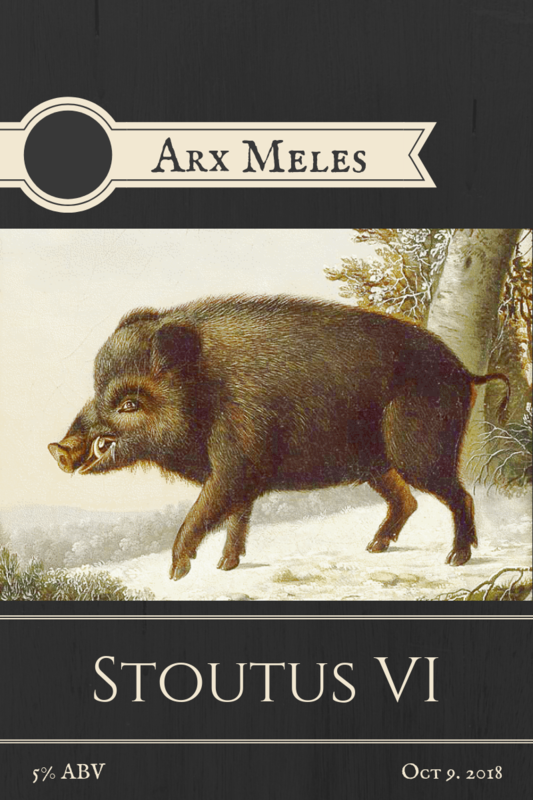 Stoutus VI – a classic stout. Brewed October 9, 2018. Bottled October 28, 2018. Recipe by YSR Ariza of Bar-Lev, brewed by Y. Sasson. Cleaned and sanitised with powder bi-sulfate solution. Grain bag added to approx 20L of water at 68°C for 45 minutes, with temperature reaching a peak of approx 72°C throughout the mash. Grain bag squeeze and soaked, water and extract added to two pots for a total of 20+L wort. Magnum hops added 40 minutes after boilpoint for 20 minutes, factoring in the no-chill scheduling. More Magnum hops added at flameout. 18L of wort decanted into the corked-lid bucket (no-chill) with an added 2L of water to total 20L. Muntons yeast pack added the following day. OG 1.056 at 23°C. Checked 16 days into brew: SG 1.018. Checked 18 days into brew: FG 1.018 = 5% ABV. Bottled into sanitised 330ml and 500ml bottles primed with 150 grams dextrose. 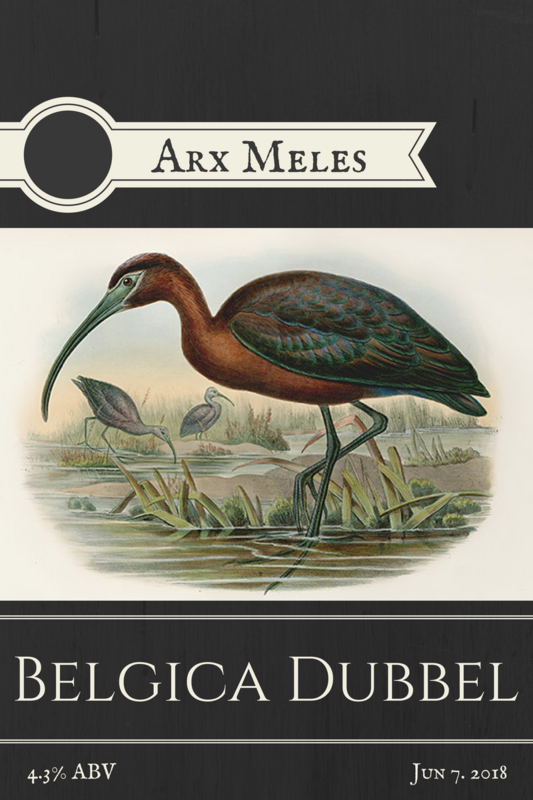 Belgica Dubbel – a Belgian dubbel. Brewed June 7, 2018. Bottled August 15, 2018. Cleaned and sanitised with Iodophor solution. Mash water for BIAB: approx 28.5L heated/boiled tap water. Grain bag added to mash for 90 minutes. Grain bag squeezed and sparged with an additional 6.5L of tap water, for a total of approximately 21L. Wort set to boil for 60 minutes with 30 grams of Magnum hops added at 25 minutes, factoring in the no-chill conversion times. 30 grams of Saaz hops added at flameout with a whirlpool. Decanted into the closed fermentation container for two days. Safbrew Abbaye yeast pack added to fermentation container at 27°C. OG 1.070 at 27°C. Checked 14 days into brew: SG 1.042. Checked 36 days into brew: SG 1.040 and decided to add a packet of Nottingham yeast that we had on-hand to see if we can get better fermentation results. Checked 59 days into brew: FG 1.037 = 4.33% ABV. Bottled seven days later into Iodophor solution sanitised 330ml bottles primed with approximately 160 grams cane sugar. 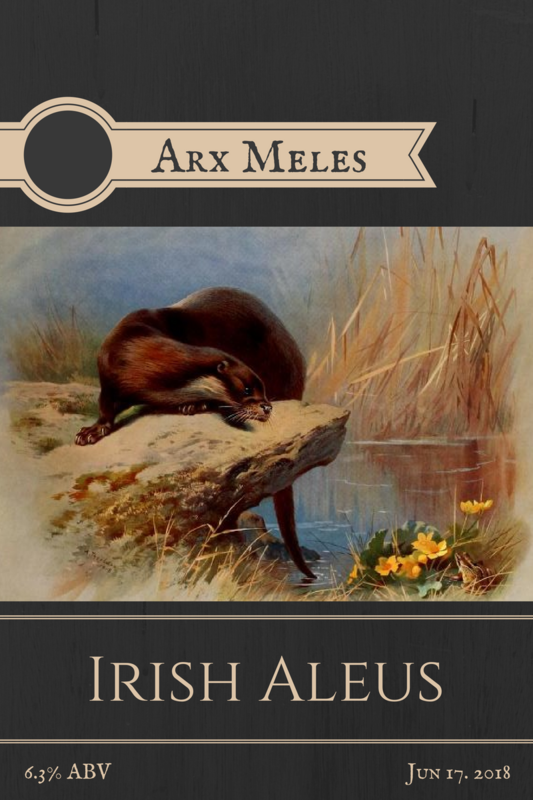 Irish Aleus – an Irish ale. Brewed June 17, 2018. Bottled July 9, 2018. Cleaned and sanitised with powder bi-sulfate solution. Grain divided into two small bags added to approx 16L of water at approx 70°C for 60 minutes. Grain bag squeezed and sparge-soaked, the liquid and extract added to the pot for a total of approx 20L wort. East Kent Goldings hops added 40 minutes after boilpoint for 20 minutes, factoring in the no-chill scheduling. East Kent Goldings hops added at flameout with whirlpool. Decanted into the fermentation bucket with an added 3L of boiling water to make up for boil-off. Bucket sealed with the lid and a cork in place of the airlock. US-05 ale yeast pack added the following day. OG 1.063 at 24°C. Checked 10 days into brew: SG 1.017. Checked 22 days into brew: FG 1.015 = 6.3% ABV. Bottled into sanitised 330ml and 500ml bottles primed with 130 grams cane sugar. Stoutus V – a chocolate stout. Brewed May 15, 2018. Bottled May 29, 2018. Brewed by Y. Sasson. Cleaned and sanitised with powder bi-sulfate solution. Grain bag with cocoa added to approx 17L of water at 67°C for 50 minutes, with temperature rising to approx 90°C by the end of the mash. Grain bag squeeze and soaked, water and extract added to the pot at 55°C for a total of approx 22L wort. Northern Brewer hops added 20 minutes after boilpoint for 40 minutes, factoring in the no-chill scheduling. East Kent Goldings hops added at flameout. Decanted into the no-chill container with an added 4.5L of boiled water to make up for boil-off. Nottingham ale yeast pack added the following day. OG 1.056 at 24°C. Checked 11 days into brew: SG 1.019. Checked 12 days into brew: SG 1.018. Checked 14 days into brew: FG 1.018 = 5% ABV. Bottled into sanitised 330ml bottles primed with 90 grams cane sugar. 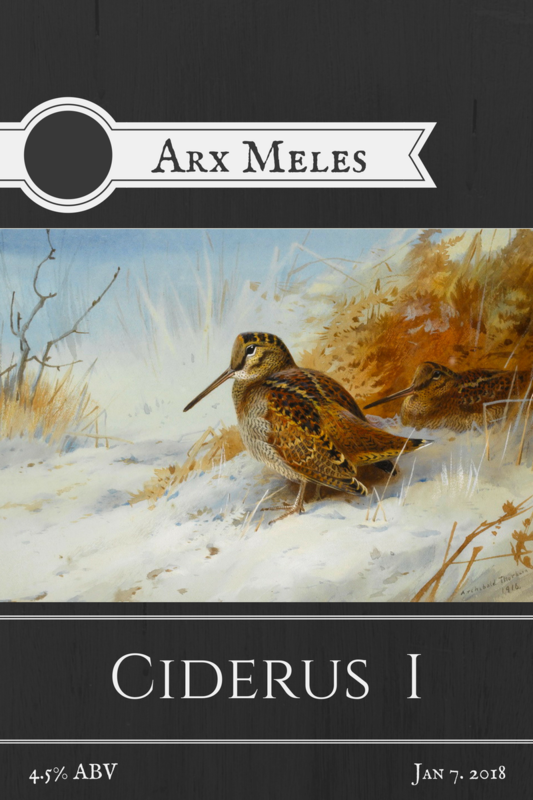 Ciderus I – a slightly spiced hard apple cider. Brewed January 7, 2018. Bottled February 7, 2018. Cleaned from last batch with bleach solution and sanitised with Iodophor solution. Water: 13.5L boiled tap + 8kg/8L ice for cold crash and to reach 22L. Water brought to a broil and the cider spice blend added. 12L of liquid poured into the fermentation bucket, with 2.4L litres of apple juice concentrate added and stirred in. Liquid cold-crashed with 8L ice to 16°C and Nottingham ale yeast pack added. OG 1.043 at 16°C. Checked 22 days into brew: SG 1.009. Checked 31 days into brew: FG 1.009 = 4.46% ABV. Bottled into Iodophor solution sanitised 500ml and 330ml bottles primed with 220 grams dextrose. 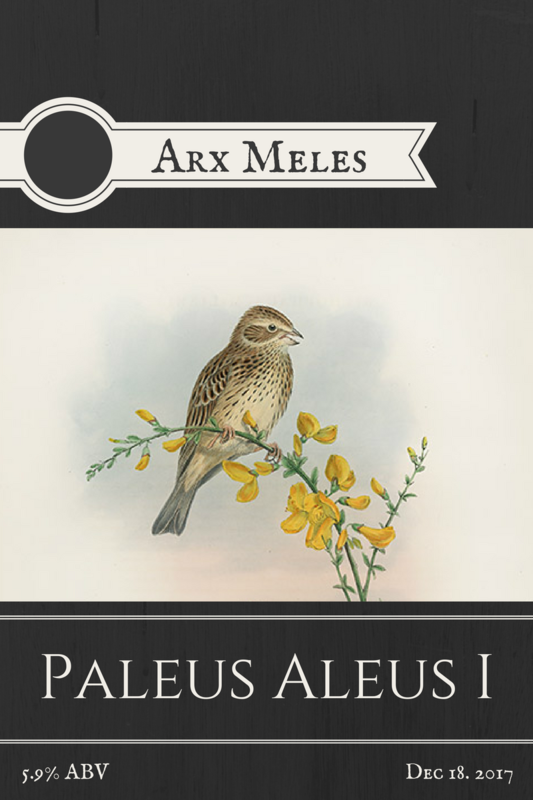 Paleus Aleus I – a pale ale. Brewed December 18, 2017. Bottled January 13, 2018. Cleaned and sanitised with Iodophor solution. Grain bag added at 70°C for 40 minutes. Extract added with more water and brought to a 45-minute boil. Cascade hops added 25 minutes after boilpoint for 20 minutes, time converted for the use of the no-chill method. At the end of the boil, the brew was decanted into the no-chill container with 3.5L boiling water added to make up for lost quantity. The rest of the Cascade hops added to the brew within the no-chill container. The following morning Safale US-05 yeast pack added at 23°C. OG 1.064 at 23°C. Checked 16 days into brew: SG 1.019. Checked 17 days into brew: FG 1.019 = 5.91% ABV. Bottled into Iodophor solution-sanitised 330ml bottles primed with approximately 170 grams cane sugar.